NEW DELHI, PUNE: Larsen & Toubro (L&T) today said its construction arm has bagged a Rs.8,650-crore order from the Mumbai Metropolitan Region Development Authority (MMRDA). 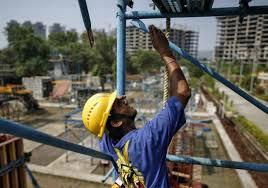 The heavy civil infrastructure business vertical of L&T Construction bagged an order worth Rs. 8,650 crore from the MMRDA for construction of the Mumbai Trans Harbour Link, the engineering and construction major said in a BSE filing. The project involves construction of 21.8-km bridge connecting the Mumbai mainland with Navi Mumbai. “The proposed Mumbai Trans Harbour Link will serve as an economic gateway to Navi Mumbai, connecting to Nhava Sheva Port, the Mumbai- Pune Expressway and the Mumbai Goa highway,” it added.